Gifts That Make a Difference! STEKA is a family home for (currently 64) very vulnerable children rescued from abusive situations or living alone on the streets of Blantyre, Malawi. STEKA children are given an education (as long as fees can be paid) but in a country where 54% of the population live below the poverty line, more is needed to help them (and other marginalized young people) into more sustainable future lives. STEKA was founded in 2007 by Godknows Maseko and his Wife Helen with the goal of removing children from the streets and protecting them from the abuse faced by many living in poverty and on the streets of Malawi. There are currently 64 children in STEKA’s full time care – 28 girls and 36 boys between the ages of 9 months and 23 years and there are further children whom STEKA support to achieve their educational goals whilst remaining with their biological families. All of STEKA’s children receive an education and Godknows and Helen are determined to ensure that the girls receive an equal education and opportunities as the boys, which is vital in a country with one of the highest rates of child marriage in the world and where girls are more likely to be illiterate than boys. STEKA isn’t an ‘orphanage’, it’s not an institution, but a loving family. Children are brought by social services or the police and once Godknows and Helen know they are staying for good, they make sure that all their new children who don’t know their biological parents adopt their surname ( Maseko) and call them mum and dad (for children still in contact with biological parents, they become aunt and uncle). The family all work together to support each other with everyone helping with chores and older children helping support the little ones. Feeding, clothing and educating such a large family isn’t easy, but the resourceful STEKA family runs a variety of enterprises to bring in funds. Helen is Montessori trained and, assisted by volunteers, runs a nursery school in the mornings when STEKA children go to school. They also raise chickens and run tailoring, upholstery and tourism initiatives to help sustain their STEKA home. All the children are brought up to value their rights and themselves; in particular girls’ rights to equality and to resist early marriage. STEKA runs a nursery school during the week for children in the surrounding villages – this is a place that they can gain the foundations for their school career in a safe and nurturing environment. The nursery school is run by Helen and taught by Madame Laura and volunteer teachers – on any one day the nursery can have up to 70 pupils! Godknows, (having escaped from a life on the streets) understands how to transform things for these children. He wants build them more sustainable futures by developing a STEKA village consisting of workshops to teach life-changing vocational skills and facilities to provide psychosocial support. It will also focus on empowering young people to get their voices heard in a youth forum aimed at lobbying for marginalized children’s rights in line with the Convention on the Rights of the Child (CRC). 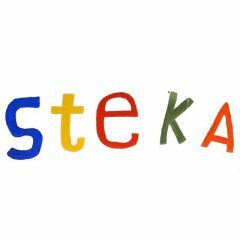 STEKA stands for Step-Kids Awareness Incorporated (as many homeless and vulnerable children are step children) and is a registered Non-Governmental Organization (NGO) charity number TR/INC: 3069 under the Child Reform and Development Assistance sector. STEKA operates with nine trustees and three full-time staff members who work as volunteers. Thanks to Bwana Godknows and all. Thank you Mr. Farouck! Godknows & Hellen Maseko are my heros. They have given up their lives to rescue and rehabilitate the children in Malawi who are living on the streets &/or have no where to go…. I am raising awareness from the USA side & am praying to return to my nieces and nephews at STEKA as soon as possible! Thank you for your encouraging words. Mr Maseko, you were indeed born for others. This is love that our Lord Jesus Christ tells us to practice. This is a wonderful project in far as protecting the street child is concerned. May the Mighty God continue showering His abundant blessings in your family. This is great love demonstrated by great people.